Umami taste is associated with deliciousness and was first suggested as a basic taste by Kikunae Ikeda in 1909 when he discovered that the brown seaweed konbu (Saccharina japonica), used to provide aqueous extracts for the Japanese soup stock dashi, contains very large amounts of free glutamate. 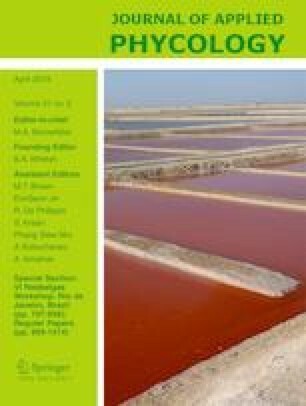 We have performed a comparative analysis of the free amino acid contents of 20 different species of brown seaweeds used for human consumption from around the world, belonging to the 12 genera Nereocystis, Macrocystis, Laminaria, Saccharina, Undaria, Alaria, Postelsia, Himanthalia, Ecklonia (former Eisenia), Sargassum, Fucus, and Corda. We furthermore measured mineral and iodine contents as well as identified a range of volatile compounds and estimated their influence on the perception of umami taste. The results provide a basis on which chefs and food producers can control umami sensation in food items using some of the most popular species of edible brown seaweeds. The original version of this article was revised: 1) The presentation of Tables 3 and 4 were incorrect and therefore replaced, and 2) The caption of Figure 7 was updated by inserting reference to Tables 1 and 3. The work by OGM, ALH, and MBF is supported by the Nordea-fonden via a centre grant to Taste for Life. Louis Druehl is thanked for a generous gift of a salt precipitate from Nereocystis leutkeana and samples of Macrocystis, Nereocystis, and Laminaria harvested in Barkley Sound, Vancouver Island. Anita Dietz is acknowledged for providing samples of Danish seaweeds. Koji Kinoshita is thanked for the interpretation of the Japanese description on the packages of some commercial seaweeds.